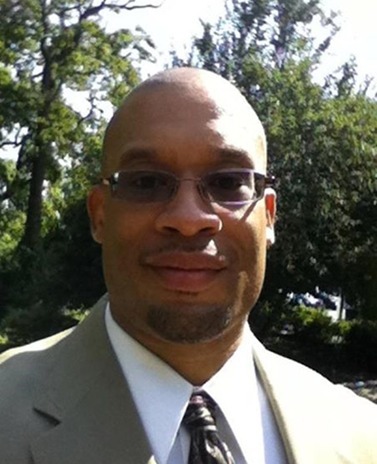 I’m hosting an interview today with Donald Wilson II, author of YA urban fantasy / adventure “Cross Roads”. I hope you enjoy the interview. I’ve been writing since I was 8 years old. I created a graphic novel that wasn’t really good, but I kept at it. I’ve been writing ever since. 2) Is Cross Roads your first book? If not, please tell us a little about your first book. 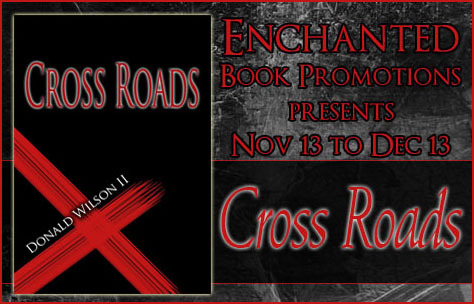 Cross Roads is my debut novel and the first novel I’ve published but I have other works that I’ve created but never attempted to publish. They were for my own benefit. 3) Why did you choose YA as genre to write? It’s actually one of my favorite genres because it’s so imaginative. It’s an under appreciated genre but has so much potential. I feel like many readers enjoy YA just for those reasons. I know I do. Be persistent, keep writing and edit your work with a professional. Editing is my least favorite part of the process, but working with an editor who understands the process and is easy to work with really helped me. 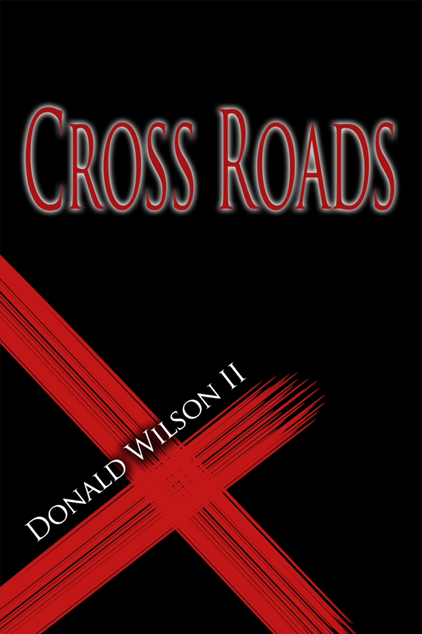 I’m currently working on the Cross Roads sequel. I can’t tell you much because I’m smack in the middle of it, but I can tell you that it has more action than the previous book. Yes, MORE action! 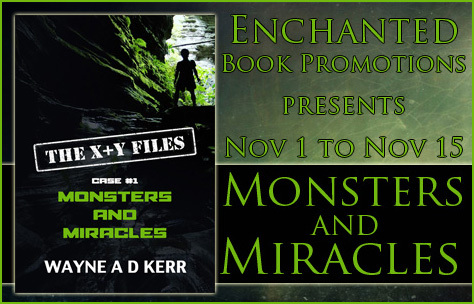 I’m interviewing Wayne A.D. Kerr, author of MG Paranormal adventure “Monsters and Miracles”. I hope you enjoy the interview. 1) Have you been writing for a long time? What inspired you to start a writing career? Before I get started, I’d like to say thank you to all the veterans and families of veterans for their service and sacrifices that allow us the freedoms and privileges that we enjoy today. Happy Veteran’s Day! Two and a half years ago, I decided to try and fulfill the challenging, but lifelong, ambition of writing a book. I set aside three hours a day and began. With the help of great editors, some excellent beta readers and a wonderful cover artist, four books have been published, so far. It has been hard work, but very rewarding at the same time. 2) Is “Monsters and Miracles” your first book? If not, please tell us a little about your first book. “Monsters and Miracles” is the second book that I wrote. Before it, I wrote a crime mystery for adults. In this story, an ex Special Forces soldier and his wife, a retired Interpol agent, help solve a kidnapping. But, not without making a ruthless enemy along the way… “Two for the Show” is currently being edited for print. 3) Why did you choose MG paranormal as genre for your book? I’ve always loved science fiction and paranormal books, movies and television shows. “The X-Files” is my favorite television series of all time. 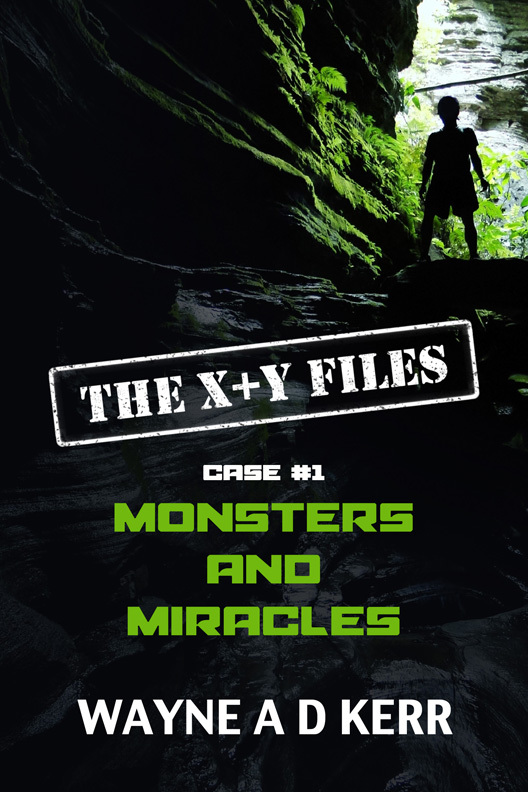 Xander and Yzzie are the middle grade versions of Mulder and Scully in the “X + Y Files” series. The best advice that I received as an aspiring writer and would like to pass on is this: complete the story that you are working on before making changes or editing it. It is very tempting to go back and make changes, rewriting and revising, over and over, until the project never gets finished. Get the beginning , middle and end, on paper and then go back and make changes. Everyone writes differently. I often don’t know how the story I’m writing will end, or sometimes what will happen on the next page, but my goal is always to get the whole story written before revising and rewriting. My nephews (and favorite beta readers) would like me write a sequel to my latest X + Y Files novel “Escape from Area 51”, so I am fleshing out some ideas for a new Xander and Yzzie adventure. Keep reading my friends. Is the local legend of survival truly a miracle? Why do his mother’s brownies taste so good? Xander Bookman already knows the answer to one of these questions. With the assistance of his adventurous cousin, the seventh grader embarks on a quest to learn the truth about the other two. 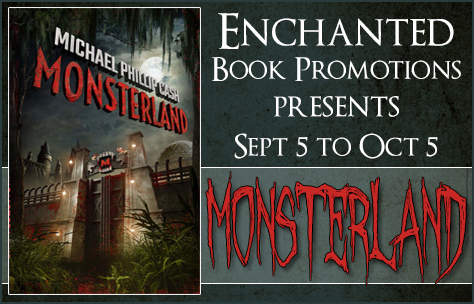 When Yzzie mysteriously disappears, Xander must find his way through a pitch black labyrinth, face monsters both real and imagined, travel across a strange secret world and get some help from some very unusual new friends to rescue her. 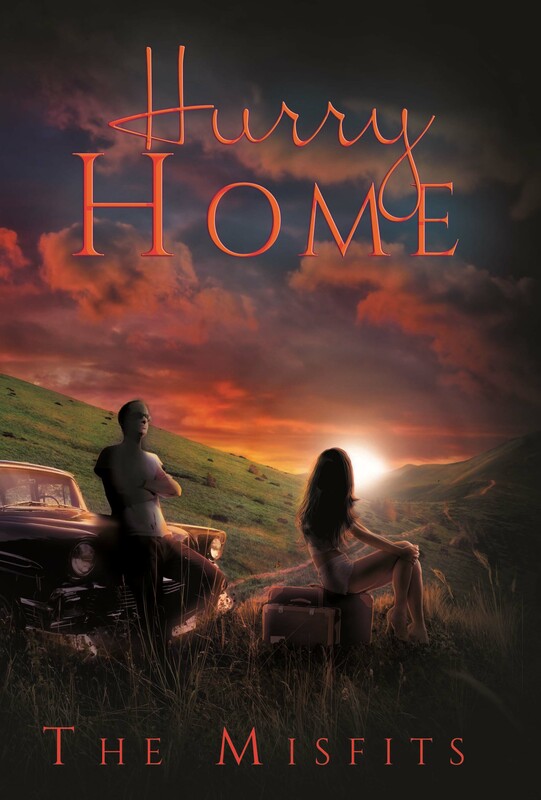 Join Xander and Yzzie on the adventure of a lifetime. The truth defies imagination. 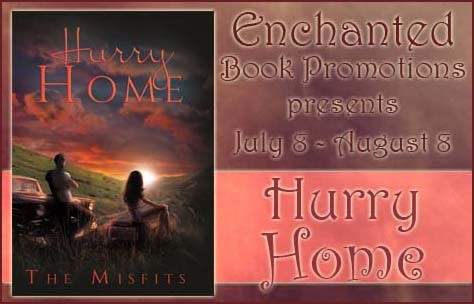 Seventeen years after Johnathon Parker murdered her mother, hybrid witch, Emmalyn Evans, gets sick of her father’s overprotective, distant ways, so she runs away in search of adventures with her aunt and uncle. 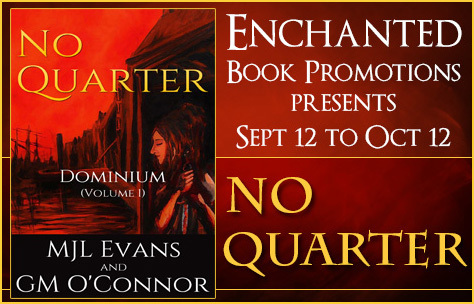 Along the way, she meets charming, handsome, dark warlock, Nik Baker who has a troubled past and harbors dark secrets. Together they embark on an adventure of their own and soon become close. But with Emmalyn’s homicidal grandfather and overprotective father on their tail, and Nik’s many secrets hanging over them, how can they enjoy their great adventure? And will Emmalyn make it back to her father in one piece, or is history doomed to repeat itself? Angie is a 17 year old High School Graduate. She met Mary through Fanfiction and they bonded over their love of books and British TV. She lives in sunny San Diego with her parents and two out of three sisters. She is the third child out of four. She loves God with all her heart and goes to Summit Christian Church! Angie is also a sound technician. She will be going to Dream Center Leadership Study next year. Mary is a beautiful 26 year-old woman. She lives in Toledo, Ohio Writing has been her passion since she was in Elementary school. She started by writing plays for her favorite anime, Sailor Moon, and things developed from there. She is an avid reader with too many books to even fit on her bookshelf. Her tastes in music varies, but she is always open to trying new things. She is the second of four children and has a niece and nephew she loves with all her heart.